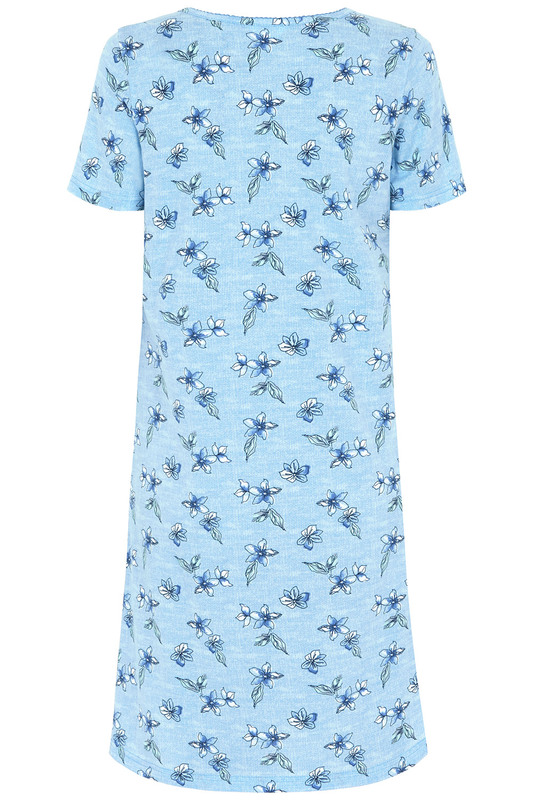 Settle down for a cosy night in with this comfortable nightdress, featuring a feminine floral print on a blue background. 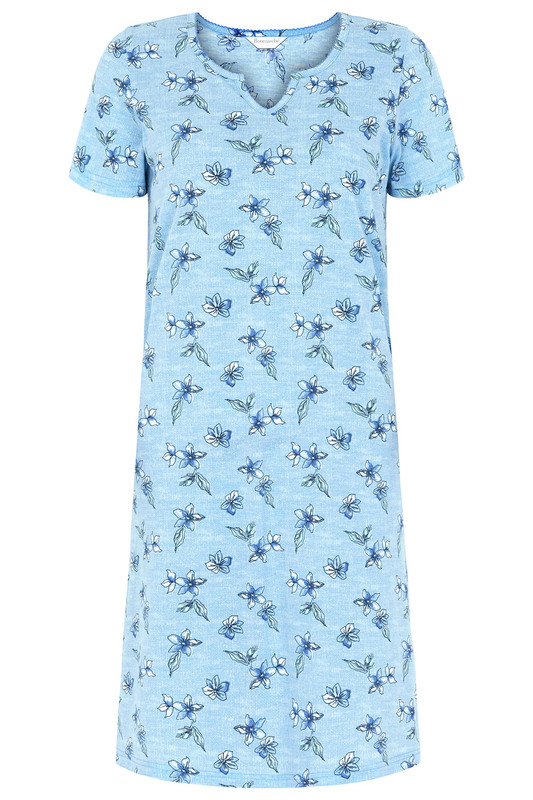 It is perfect for nights on the sofa or mornings in bed, with a loose fit, short sleeves and notch neck. Made from a cotton blend fabric, it is lightweight and soft. Just add your favourite slippers.